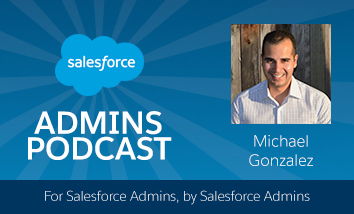 Today on the Salesforce Admins Podcast we’re talking to Joe Ryan, VP of Product Management at Salesforce to talk about the new customizations coming in the Spring ‘18 Release. 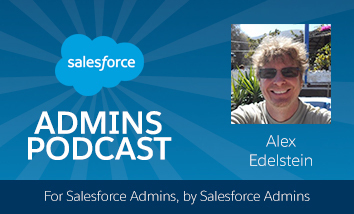 For February and March, we’re setting our sights on productivity with a series of topics to help you focus on being a productive Admin and how you can deliver productivity to your users. 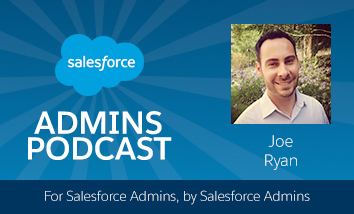 Join us as Joe Ryan tells us about My Lightning’s amazing customization features, personalized navigation, and what’s coming next. You should subscribe for the full episode, but here are a few takeaways from our conversation with Joe Ryan. Branding your org with My Lightning. Joe and his team might already be your favorites because they’re responsible for, well, the favorites features. Coming in Spring ‘18, they’re rolling out My Lightning, the custom theming and branding feature. As Joe puts it, “We talk to a lot of customers and everybody loves the new UI, but people are saying, ‘Right now it looks like Salesforce, but could it look like our brand?’” A big part of delivering productivity is actually getting users to use the tools you make, so My Lighting’s ability to brand your org drives productivity by creating a sense of ownership over the workspace. Get excited for Personalize My Nav. “From the minute we had Lightning on for all of our employees at Salesforce I got a love letter, at least one post on Chatter a day, asking why we hadn’t yet built a Customize My Tabs feature.” It’s been a long time coming, but Personalize My Nav is coming in Spring ‘18. Personalize My Nav is all about customizing your navigation to boost your productivity. 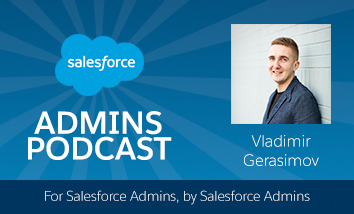 “You can actually put granular items like a dashboard, your favorite list view, or a record as tabs,” Joe says. They started their work on this feature by asking people how they start their day and overwhelming they heard that people work down lists. Get ready for app theming. Next up coming down the pipeline is app theming, so if you have a different app for sales or service you can make it look totally distinct. “We’ve also been hearing from people about console personalization, and we’re working towards bringing that to you as well,” Joe says. “One thing to know,” Joe says, “is that app customization is only going to work for Lightning apps, so if you have classic apps in your org now is the time to upgrade.” It’s also a good opportunity to do some cleanup, so if you have a bunch of tabs you should think about pulling some of those out to leave space for end users. We want to remind you that if you love what you hear, or even if you don’t head on over to iTunes and give us a review. It’s super easy to do, and it really helps more Admins find the podcast. Plus, we would really appreciate it.